Our Legal Division provides professional, practical advice and services to individuals as well as small to medium enterprises. A Firm Legal compliments our other divisions with the same emphasis on providing exceptional personalised service to client’s personal and business needs. We assist our clients by elevating and protecting their assets, enabling them to feel safe and secure. No-one wants to think about death in the prime of life. But it's important to decide what will happen to your assets when you die. 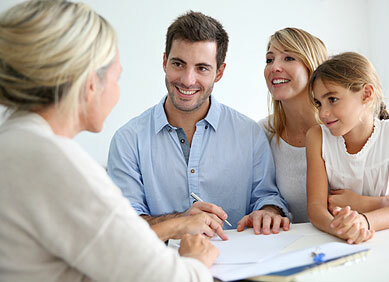 But documenting what happens to your assets, is just the start of a comprehensive estate plan. Just as important as who gets the house or paintings when you’re gone, is where and how you wish to be cared for in the final stages of life if you can’t make those decisions yourself. A will is probably the last thing on your mind when you are young or busy raising a family, but what would happen to your children if you were to die? Who would care for them and how would they be supported financially? A will can cover everything from how your savings and investments should be distributed to choosing a guardian for your children until they are independent. Careful planning is even more important in an era of blended families, previous and de facto relationships and high divorce rates. In order to avoid unnecessary conflict when you die, it’s important to update your will to reflect changes in your circumstances such as the birth of a child, deaths, marriages or divorce. Dying without a will is known as dying intestate and the court will decide how your estate and assets are to be distributed, often to a strict legal formula that may not reflect your wishes and could take years to be finalised. Contact our Legal Executive today for more information on how we can ensure security and peace of mind for your personal and business needs. Book a consultation with our Legal Executive today!